There are lots of programming exercise in Java, which involves printing a particular pattern in console, one of them is printing Floyd triangle in console. In Floyd triangle there are n integers in the nth row and a total of (n(n+1))/2 integers in n rows. This is one of the most simple pattern to print but helpful in learning how to create other more complex patterns. Key to develop pattern is using nested loops and methods like System.out.print() and println() appropriately. Actually pattern based programming task are originally designed to master loops in programming. A good programmer should be able to look a pattern and break into nested loops. 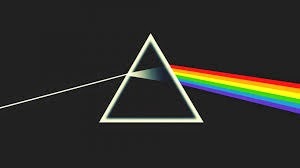 A more formal definition of Floyd's triangle : "It's a right angled triangle of array of natural numbers, which is named after Robert Floyd. It is defined by filling the rows of the triangle with consecutive numbers, stating with 1 in the top left corner". Your task is to print this table using nested loops in Java. Main point is to build the logic by yourself, this will help you a lot in the long run. Here is my sample code example to draw format representing Floyd's triangle. This program first ask user to enter number of rows till you want to show Floyd's triangle. You can use Scanner to get the input from user and then you can use that number in your logic. The code for printing Floyd's triangle is the method printFloydTriangle(int rows), it takes number of rows, which is the user input. This method uses nested loops, two loop in this case to draw format of Floyd's triangle. First loop is used to print number of rows and second loop is used to print numbers in the row. hi what about this ?? How to print this Floyds triangle without using any loop? And also not using a series of print statement.